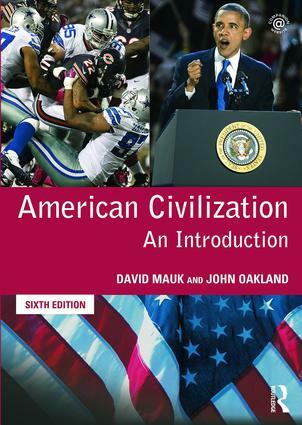 covers all core American studies topics at introductory level. analyzes issues of gender, class, race, and minorities in America’s cosmopolitan population. contains color photos, case studies, questions and terms for discussion, bibliographical references and lists of websites central to each chapter. accompanied by a fully integrated companion website featuring extensive references for further reading, links to key primary sources, filmographies and advice for students on how to approach essay questions. Featuring new color illustrations and case studies, this edition includes expanded sections on the environment, immigration, foreign policy, media and the arts, sport and leisure cultures as well as a new section on the LGBT community and detailed coverage of the 2012 election and shifting economic situation.